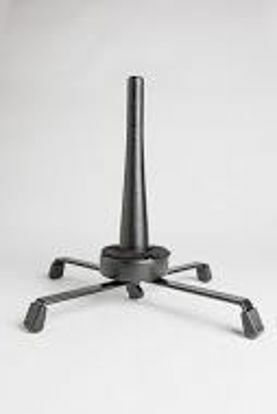 BG English Horn stand - 2 black flat plastic sections assemble instantly. Collapsible, so it fits easily in your bag. 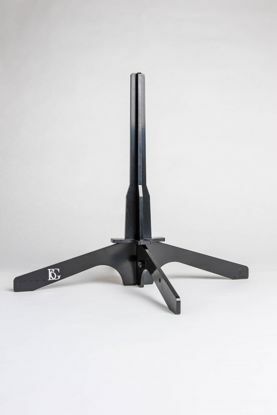 This stand is very convenient and lightweight! Wood K&M English Horn stand on a metal "X" base. 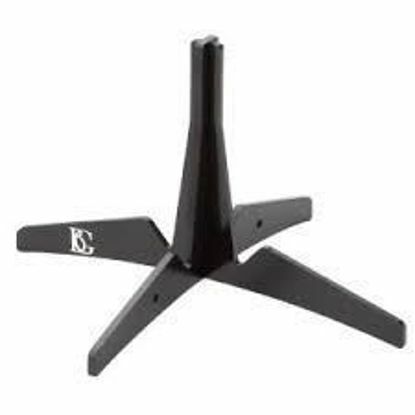 "X" shaped metal base with plastic oboe peg made by K & M. This is a sturdy, portable stand! Two flat 8 1/2" x 4 1/2" black plastic sections which assemble instantly. Made by BG Products. This stand is very convenient and portable. A very sturdy combination stand, made by K&M. Includes removable oboe and English horn pegs. The removable oboe peg is plastic and the removable English horn peg is wood.